Book Ferries to Norway, Denmark, Sweden, Poland, Germany and Latvia with Stena Line Scandinavia - Oslo, Frederikshavn, Gothenburg, Grenaa and More! You can use this page to book a Stena Line ferry to Denmark, Sweden and Norway in Scandinavia as well as Poland, Germany and Latvia. 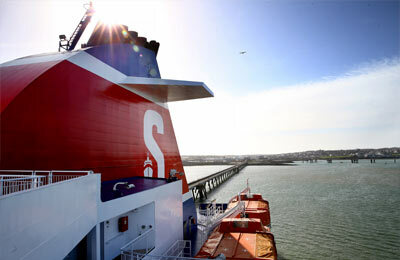 Also see our Stena line Irish Sea and Holland page for other routes. Stena Line is one of the leading ferry companies in the world and you will find the highest levels of comfort and service on board. We always have cheap prices for Stena Line ferries and the latest special offers. You can book Stena Line ferries to Oslo, Frederikshavn, Gothenburg, Grenaa, Kiel, Gdynia and more. For all routes and for the latest Stena Line Scandinavia prices and sailing times see below. Click on your ferry route for a detailed timetable with arrival and departure times. Stena Line has a modern fleet of 33 ferries serving 29 ports throughout Europe. You will find all of the ships are well equipped with comfortable cabins, restaurants and bars, spacious lounges with comfortable seating, children's entertainment areas and more. 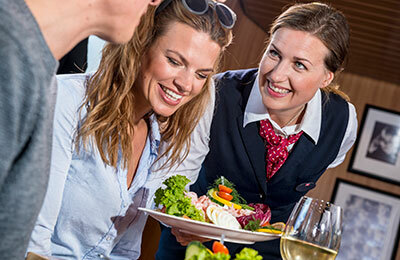 Ships normally offer self service and a la carte restaurants and travelling in Scandinavia you'll have the chance to try many traditional Scandinavian dishes as well as the best that international cuisine has to offer. Whether you travel on the Stena Line Frederikshavn to Oslo and Gothenburg route, the Stena Line Gothenburg to Kiel ferry, the Stena Line Grenaa to Varberg line or any other route from this leading ferry company, you are bound to have a relaxing and very enjoyable journey.